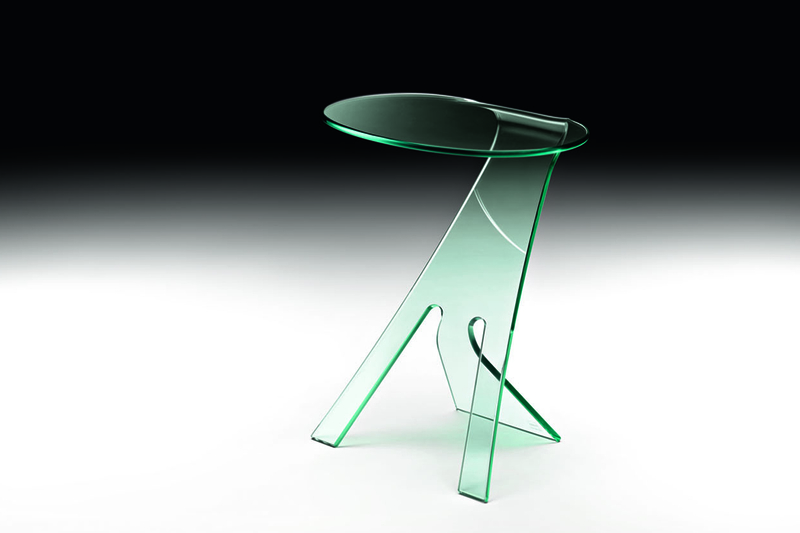 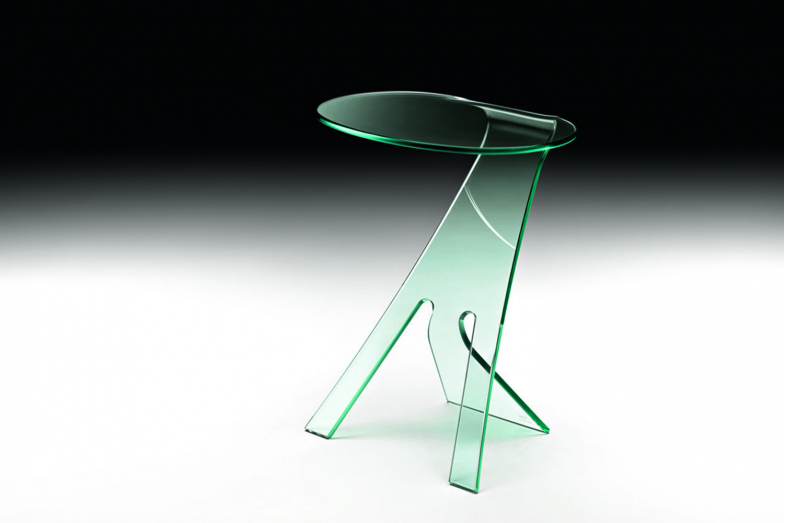 Vittorio Livi's Grillo bedside table has been beautifully formed from one piece of 12 mm-thick curved glass. 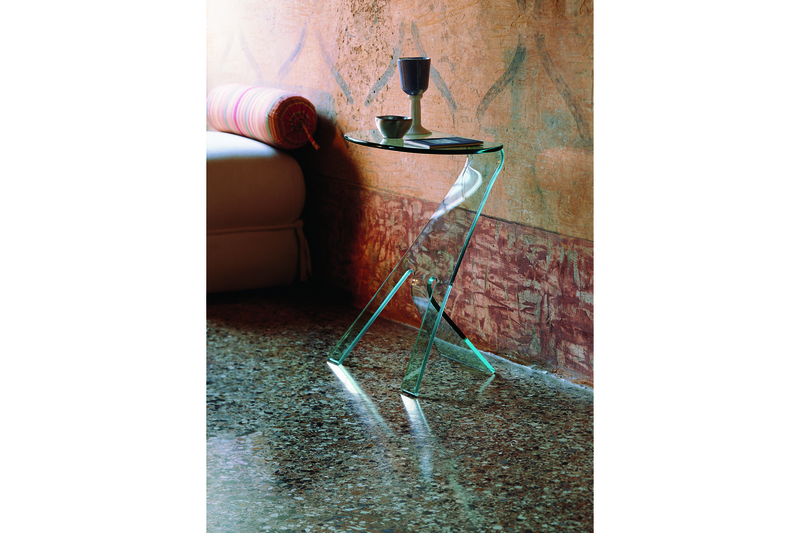 By going beyond the simple idea of the material and by using the space essentialism of glass, this small and dynamic flat rest surface, which wants to stand out in its harmonious and dynamic form, is born. Glass rises high and it reaches into space fading into the capturing background that defines it.